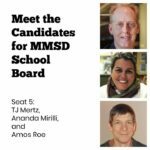 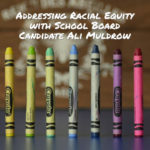 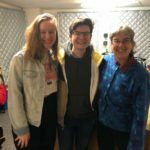 We pick back up with another edition of Meet the Candidates, this time for the Madison Metropolitan School District (MMSD) school board. 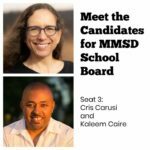 For today’s show, Carousel interviews the candidates for seat 3, Cris Carusi and Kaleem Caire. 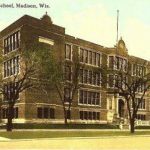 They spend the hour discussing their priorities for the students and teachers of Madison’s K–12 school system.